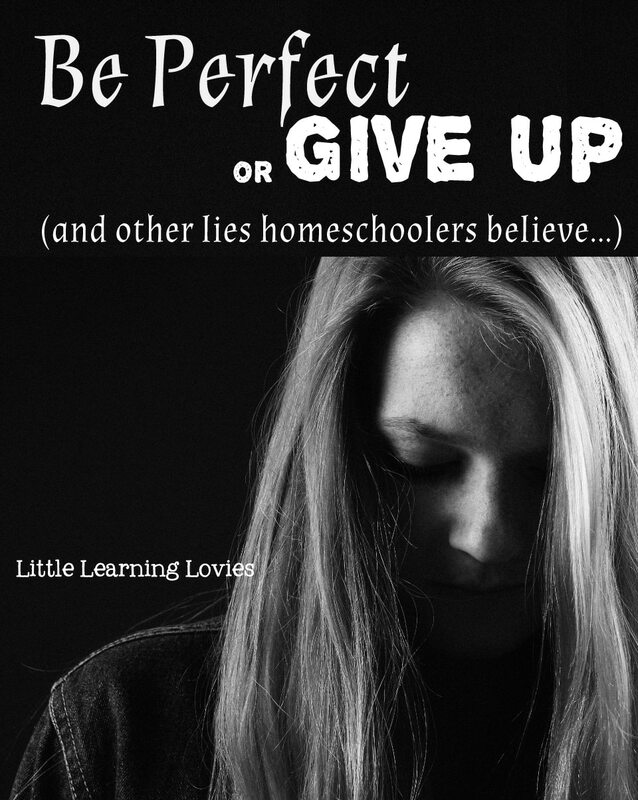 Have you ever noticed that homeschoolers are afraid to complain? Maybe you feel like this yourself. It could be that you’ve had a really rough week and you’d love to vent to your friend, but you can’t, because she doesn’t homeschool. So you hop online and find a group of other homeschoolers and vent there. You look for understanding and compassion from complete strangers because you know that if you mention your troubles to your local friends, especially the ones who don’t homeschool, you’ll have to face their criticisms. Mama, I don’t blame you one bit! After all, when you’re down and feeling beaten, the last thing you’re ready to do is defend your choice to homeschool. You don’t need someone to tell you it’s a hard choice, and you surely don’t need someone to make you feel like a failure. In other words, mom, you should just give up. You had a rough week, so quit. You’re life isn’t magazine perfect, so it’s time to march over to the school board and fill out that paper work. Sure. There really ARE times when this is actually the best choice for a family. Sometimes homeschooling is just for a small season and that’s fine. But that’s not a choice you should be making at the end of a hard week or month! That’s a choice that should be carefully discussed with just as much research and passion as when you first started homeschooling. Mama, no one is perfect. That homeschool mom you see at co-op who always seems to have the kids well dressed, brushed hair, healthy lunches AND they know all their multiplication facts by the age of 4… she probably has a pile of dirty laundry and a sink full of dishes waiting for her at home. Or that mom who always seems to have a beautiful home that she opens up to other homeschoolers for meetings? Her kids are well educated, but she hasn’t slept more than a few hours at a time in months. We read blogs that look amazingly perfect and feel like we’re not measuring up. We look at other moms and wonder how they do it all. We envy the people around us, thinking they have it so much more together than we do. We start feeling like we’re not enough. We’re not enough to make this homeschool life work. And it’s all a big, fat, juicy lie. You are the mother. You are made stronger than you ever imagined. Look back, for a minute. Back before you had kids. Did you think you could do everything you’ve already done? I know I didn’t! I want you to make a list of all the things you do every day for your family because you love them. Now make a list of all the things you feel like you SHOULD be doing but you never get around to it. What things do you feel like you’re failing at? Look down your first list. Is there anything on there that you don’t really need to be doing? Is there anything on there that the kids can help with? A big area that can really ease up a moms life is household chores. It can take a few months to get everyone used to pitching in if they aren’t doing it already, but even very young kids can learn to help with chores. If you have an 8-10 year old, you’re golden: They usually LOVE to help out and are at the right age to actually be good at it! ♥ Let them help with laundry and dishes. Let them set the table and sweep up. Let them love you by helping you. Now look at the list of areas where you struggle the most. Again, is there anything there that the family can help you with? Is there anything there that really isn’t as important as you first thought? Sometimes we think we’re failing simply because we are comparing our life to someone else. Maybe your homeschool friend takes the kids on several field trips each week and you struggle to get one in per month. This isn’t something you need to feel bad about. You are different. Your family has different priorities and that’s okay. What can you cross off that list by being honest about yourself and your family? Hmmm, apparently I can’t follow directions. I am struggling to keep a consistent school schedule (and I’m completely failing at reading aloud) but I’m winning at bedtime stories, board games as a family, and Life of Fred. I know I’m late to this party 🙂 but I wanted to thank you for writing this post. “Enough” is my word for the year. As in, I am enough, you are enough, and that’s enough with the craziness. I am getting off the crazy train this year. The train of thought that insists I believe everyone is doing a better job than me, and is prettier, smarter, healthier, wealthier, and a better wife/mother/teacher, the list goes on and on. It’s ENOUGH. We are restarting today, after several tough weeks of either spotty schooling or none at all, overfilled weekends that leave us depleted for the coming week, and cousins staying with us for days on end so their mama can work out of state. It’s ENOUGH. Time to get back on track at home, not at PS. So we are starting slowly with a Drive Thru History DVD this morning and after lunch will hit the books for about 45 minutes. And for today, it’s enough. 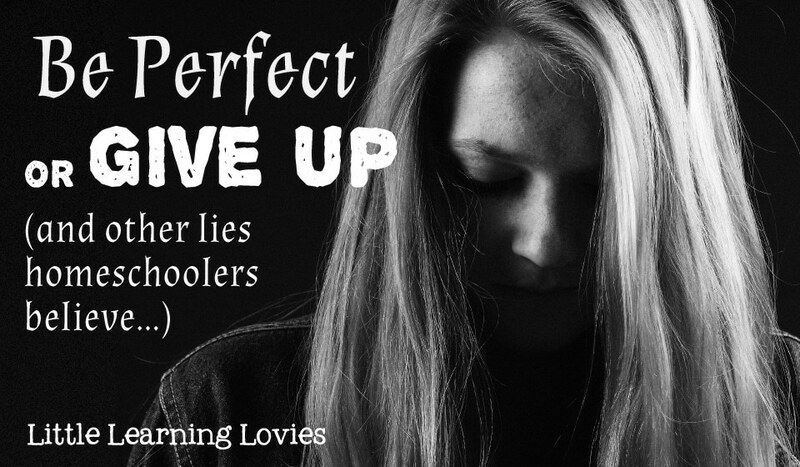 Thanks for your hard work on this blog, keeping it real for other homeschoolers out there! You’re awesome! Hoo boy! That invitation to write what I’m failing at and what I’m good at is really tempting, but do I dare be the first? 🙂 That’s hard! I’m struggling with healthy cooking/eating, but I’m acing reading aloud as a family. Thank you for being brave! ♥ There is NOTHING wrong with admitting you aren’t perfect! None of us can claim perfection. I think we can all strive to be better at what we do… always… but in order to do that, we have to admit that we struggle with something. I’m so proud of you for letting us know where you have trouble. And way to go with family read-alouds! ♥ That is such a great way to connect and you are building some amazing memories there. Thank you so much for the encouragement! The last sentence is a great reminder and response to people who tell you to send the kids to public school. Everyone has their struggles, even public school teachers. It’s true! 🙂 I think homeschoolers need to hear that a lot. No matter how unlike public school our studies are at home, we are forever comparing ourselves to their results and methods. So remembering that PS isn’t perfect (I remember my teachers calling a video day because they needed a break! lol) is vital, I think, to a homeschoolers sanity! ♥ Thanks so much for your comment!